For those of you who have spent the last few weeks in hibernation, it is in fact coming home. The country is basking in sunshine and World Cup glory as football fever grips one and all. Add to that the British Grand Prix, Wimbledon, Chris Froome at the Tour de France and many other attractions and we are revelling in a sporting dream. But in amongst all that, the T20 Blast has started very nicely indeed. Crowds are up, the weather has been magnificent and some sensational cricket has been produced. 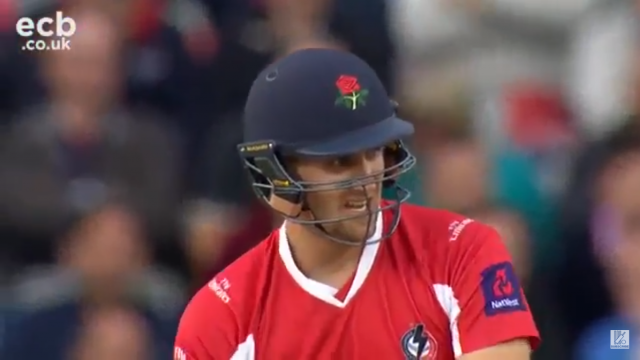 Liam Livingstone produced one of the knocks of the competition thus far to get Lancashire’s first win on the board on Friday night. His 100 from 51 balls guided the Lightning to a resounding victory at Derbyshire and helped his side bounce back from a disappointing opening loss. Their narrow defeat at home to Worcestershire was not the way the 2015 champions would have hoped to start the campaign. But even in that loss they posted 188, and with such a dominant chase at Derby, confidence must be high in the batting ranks. Northants know all about losing high-scoring contests, having been beaten in their opening couple of matches. The two-time T20 champions succumbed to a brilliant Leicestershire run chase in their first match and an incredible Dan Christian century in their second. Both defeats have come at home. So the Steelbacks will hope that the road brings some respite in this repeat of the 2015 final. It’s also Family Day at Old Trafford, in combination with the Trafford Live festival – which will see a whole host of events take place around the ground throughout this contest. A feel-good vibe around British sport, everywhere you look. The headlines from Lancashire’s demolition of Derbyshire rightly went to Liam Livingstone thanks to that scintillating century. But his opening partner Alex Davies also notched a career-best T20 score with an unbeaten 50. In full flow, there are few players on the county circuit better to watch than the diminutive Lancashire keeper, with an ability to time the ball sweetly and score all around the wicket. Difficult to look past Ben Duckett as Northants’ key man. It’s been a difficult season for the England international so far, but his knocks of 96 and 88 from just 54 & 45 balls respectively have shown a return to the kind of form that was rewarded with international honours. His side will want a similar display from their star man to end this early losing run. Glen Chapple is likely to name an unchanged side, meaning seamer Toby Lester could continue after making his T20 debut against Derbyshire. It’s set to be another hot, dry afternoon as the country basks in the warm weather. Old Trafford has provided a high-scoring contest for the Worcestershire game, but a couple of low-scoring international matches in recent weeks, with some assistance to spin bowling. Great to see Ben Duckett back amongst the runs.